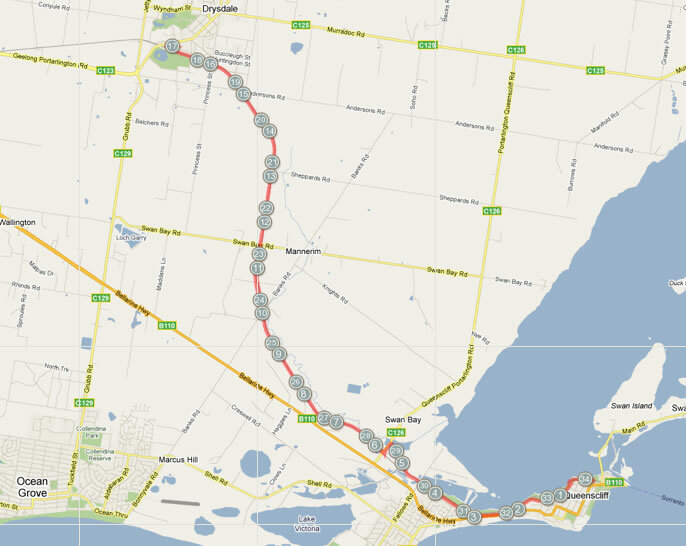 The course follows the Bellarine Rail Trail from Queenscliff to Drysdale & return. The trail is wlll marked & ideal for running. The train track follows the trail for the majority of the course. Below is an outline of the course. Also note that the profile looks impressive due to the scale but the max gradients are 2% that is not overly steep! Also note that the 17km course goes in the perfect direction - downhill and usually downwind! !